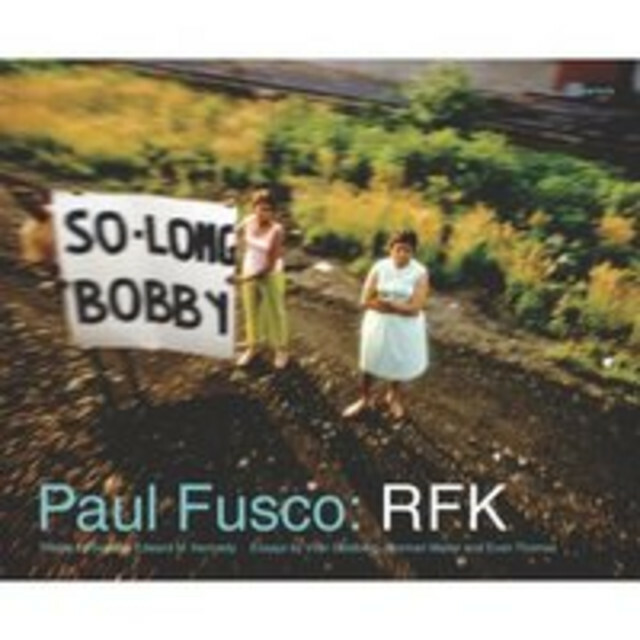 Paul Fusco: RFK, published during the fortieth anniversary of Robert F. Kennedy's assassination, is the long-awaited follow-up to Fusco's acclaimed RFK Funeral Train, a body of work heralded as a contemporary classic. This historical new publication features more than 70 never-before-seen images, many selected from the untapped treasure trove of slides that comprise the Library of Congress' Look Magazine Collection. As a staff photographer for Look magazine in 1968, Fusco was commissioned to document all of the events surrounding the funeral. In addition to capturing the thousands of Americans who stood by the railroad tracks to greet the funeral train carrying Kennedy's coffin, he also photographed the mourners gathered at St. Patrick's Cathedral in New York, as well as the dramatic night burial in Arlington National Cemetery. In this volume, newly discovered photographs are presented alongside classic images of the funeral train that have been seared into public consciousness from two previous iterations of the work: a 1999 limited edition and the 2000 trade edition, both long out-of-print. Paul Fusco: RFK provides a new perspective on this legendary photographer's singular achievement. It also helps solidify the status of this classic body of work as one of the great efforts in photographic reportage and an incomparable document of this pivotal moment in U.S. history. Paul Fusco, born in Leominster, Massachusetts in 1930 and a member of Magnum Photos since 1974, began his career photographing for the U.S. Signal Corps during the Korean War. He studied photojournalism at Ohio University and his work has been widely published and exhibited at venues including the Photographers' Gallery, London and the International Festival of Photojournalism, Perpignan, France. Senator Edward M. Kennedy, brother of Robert F. Kennedy, has served in the U.S. Senate since 1962. Norman Mailer (1923-2007) wrote more than 30 books, garnering the Pulitzer Prize twice. Evan Thomas is Editor at Newsweek and author of Robert Kennedy: His Life. Vicki Goldberg is a leading voice in the field of photography criticism; her essay collection Light Matters was published by Aperture in 2005.